Do you have YouTube channel & want to promote YouTube videos? We know how difficult is to create a video and when its not get response like we thought it hurts a lot so optimizing is very important. Optimizing in two different way pre-optimizing (optimizing before uploading ) and post-optimizing (optimizing After Uploading ) . What most people do is they just upload the video and think they will get the traffic easily but this is not the truth . In this tough competition marketing and optimization is must. So we are sharing few proven tips. It doesn’t matter how professionally you’re creating videos when you're not doing any marketing & promotion for your videos, it would be a nightmare to get more views. In this post, I am sharing simple techniques and tweaks to promote your YouTube videos. These techniques are proven and personally used for my videos. You can use this technique while producing your videos. So let's get into the detailed guide of YouTube video promotion! How To Optimize Youtube videos To get more views? Video title plays a vital role in your video.The title will decide what would be in the video. The title will be the factor between them being seen and share across the internet world or get a lower number of views. Before creating, videos do proper keyword research to find what actually people are searching for and then use the appropriate keyword in your title. Always include your keyword at the beginning of your video title. The title should be attractive and attention-grabbing. See the below image for sample video tags. 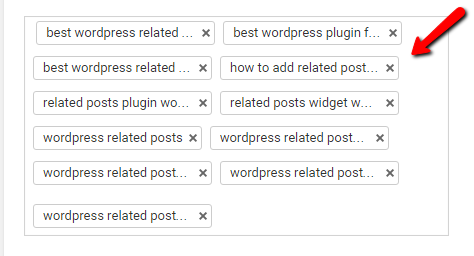 Video tags are more important to get organic traffic to your youtube videos. So include right keywords as your video tags. Thumbnail grabs the user attention to click on your video.So use eye-catching thumbnail it would help to stand out in the related videos and suggested videos section. Here are some technical tips for Thumbnails. Upload as Jpg, gif, or png. Try to use 16:9 ratio as it most used in Youtube players and previews. You can use Canva to make stunning thumbnails for your videos. See Youtube SEO Algorithm is different from Google Search SEO Youtube SEO is not really dependent on backlinks for the authority it depends on User Experience and Subscribers, Users engaging like commenting, liking etc so ask your users to subscribe you, like and comment on every single video. This makes video update every time the user interact this increases chances of getting your video rank better on YouTube Search and even on Google. If you want to promote your videos, you must have some major social media accounts for your youtube channel. This gives you an opportunity to reach your audience and make a community of youtube. Here are some social media properties that you must have. Also, You can Use Buffer to schedule videos to be shared on your social media accounts. When users viewing your videos, They may want to contact you in other ways. Make them easy to contact you for reviewing your video, feedback, ask the question, product query. Add contact details as shown below and link back to social media channels. Creating videos and uploading is not enough, You need to participate in community and be active in the community to engage your audience as well. Try to answer the questions when a viewer asks you.Viewer engages themselves if they know they will get a response from you. Create a blog and write content that related to your videos and embeds those into your post.You can also include a transcription of the content it helps with search. This is a simple tactic to promote your youtube videos. Professional marketers never overlook this type of simple promotional opportunity. The playlist will get your viewers consuming more videos in one sitting. With a playlist as soon as one video ends, another video begins. If you're not using a playlist, then viewer intentionally click on another video.Playlists can also improve your video search rankings as playlist titles are another opportunity to target keywords. Create an Awesome infographic about your videos and submit it to infographic submission sites. infographic submission sites drive huge traffic to your videos if your infographic worthy.You can use canva and piktochart. You must use a call to action at the end of the video or middle of the video, ask your viewers to like and subscribe to your channel.at the same time you can ask your viewers to share your videos with others who might benefit from it. Most of the youtube legends use this technique to take advantages of their existing viewership. If you ever not use this technique, do it from your next video onward and see the amazing results. Make sure your videos have embedding enabled so viewers can easily share your content on their website and blogs. This is an effective way to share and reach your new audience. How do you know embedding is enabled? Go and click on video manager and advanced setting, look in your “ distribution options”, make sure the “Allow embedding” box is checked. I hope you enjoy this post.I personally follow these steps to rank my videos. If you have any other Techniques to rank youtube videos, feel free to share with us through the comment section.if you like this post share on social media. 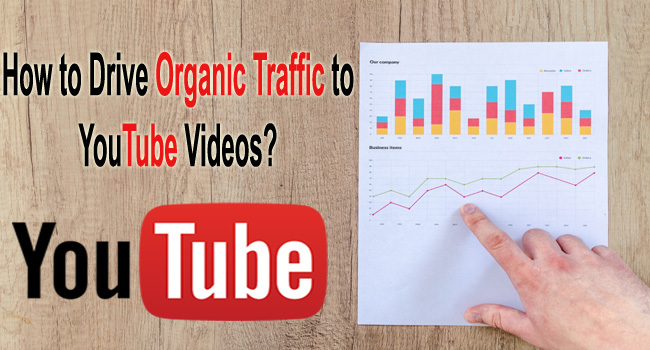 That's It Thanks For Following our Tutorial '' 13 Proven YouTube SEO Tips to Drive Organic Traffic to Your Videos '' Along With us If you found any difficulty Please Comment and Share Your Valuable Opinion. And Stay tuned for More Tutorials Like This and Share this with your friends.